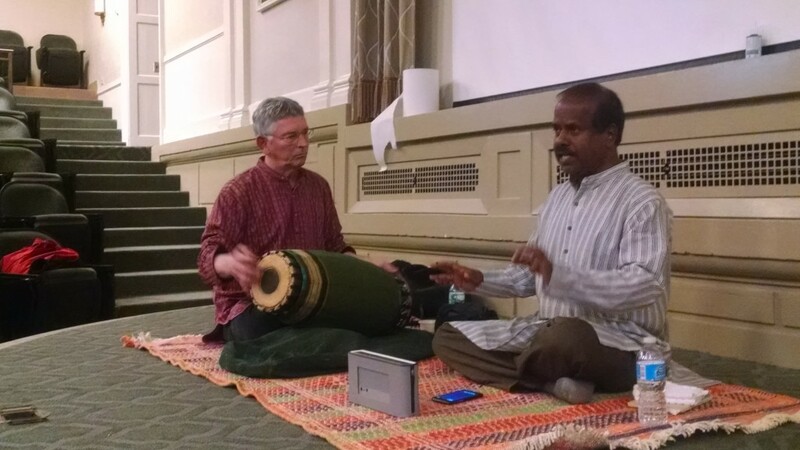 On April 23, 2015 B. Balasubrahmaniyan and David Nelson performed a concert of South Indian music in Maxwell Auditorium at Syracuse University. The artists drew upon their rich lineage pedagogical lineage situated within the aural traditions of Karnatak music to present a program that spanned centuries of history. 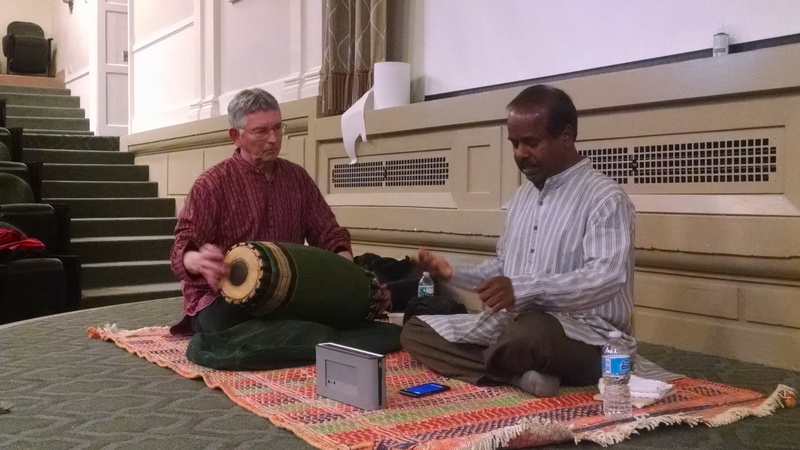 Many of the audience members were familiar with the repertoire and enhanced the evening by requesting particular songs and engaging in a lively question-and-answer session with the artists following the performance.